This wonderful piece is brought to you straight from Italy. 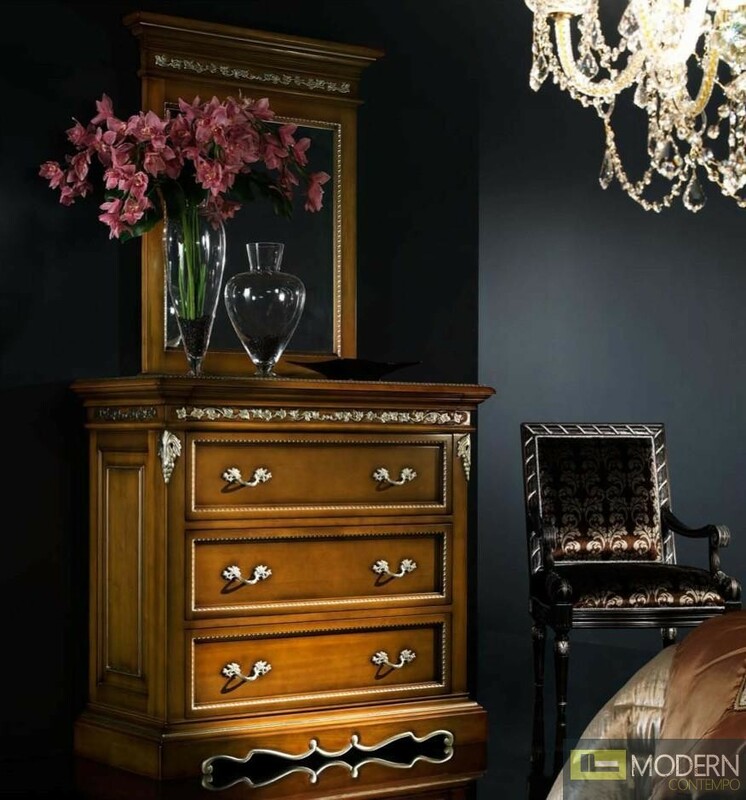 The Novita Dresser is constructed of sturdy walnut hardwood and given a clear veneer finish to lock in beauty and durability. The piece is adorned with attractive wood carving and silver metal accents, and the addition of a mirror gives a wonderful finishing touch.